The company has come up as one of the prominent Manufacturers and Suppliers of Sand Mixers in Kolhapur. The Sand Mixers, offered by the company, are resistant to early wear and are known for their long life. The company offers a quality assured range of the Sand Mixers to the clients at highly competitive prices. The Sand Mixers, which the company offers, are highly efficient and prepare sand with outstanding molding quality in a very short duration of time. The company makes Core Sand Mixers with suitable motors and gearbox. 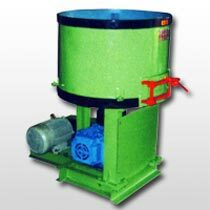 The Sand Mixers are provided with stainless steel sheet lining inside the main shell and the scrapers are brazed with carbide tips at the bottom and the side.